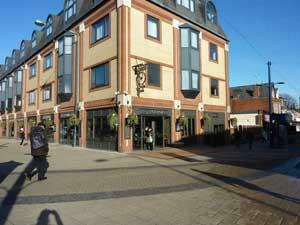 The Troll Cart01493 332932work HotelThe Troll Cart Hotel, Great Yarmouth is situated in the centre of town & aims to provide a high level of comfort for guests with en-suite bedrooms including wheelchair accessible rooms & inter-connecting rooms all with unlimited free wi-fi. Having undergone a huge refurbishment, The Troll Cart Hotel offers a variety of double, twin and family rooms which all have Freeview TV, unlimited free Wi-Fi and digital temperature control. There are also wheelchair accessible rooms with plenty of space in the room and in the bathrooms with inter-connecting rooms suitable for carers. A newly refurbished pub along with a large garden, forms part of the hotel, making The Troll Cart a perfect stay for families, leisure or business. Great Yarmouth is proud to be Norfolk’s premier beach resort. The sea-front, also known as the golden mile, hosts activities for all ages. Whether thrill-seekers who will enjoy the historically famous Pleasure Beach theme park or those who would rather do something else, Great Yarmouth is situated close to some wonderful countryside, charming villages and the very scenic Breydon Water on the Norfolk Broads. On arrival in Great Yarmouth follow signs for the Town Centre. The Troll Cart is located at the top of pedestrianised Regent Road at its junction with Alexandra Road. Plenty of parking is available nearby.